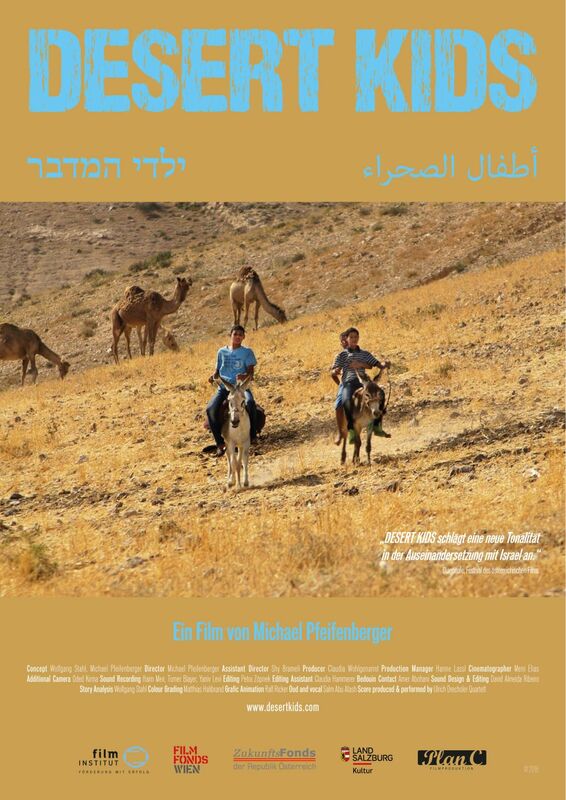 The Austrian director Michael Pfeifenberger has produced many feature and documentary films in Israel with a unique perspective on everyday - life. DESERT KIDS illuminates the life and the longings of the younger generations in the South of Israel, in the Negev - Desert. The kids of Bedouin tribes, and the kids from the Kibbutz community tell their stories and let the spectators participate in their private lives and their thoughts about the future. The film will be followed by a discussion about Israel and Antisemitism with the director Michael Pfeifenberger, introduced by dr. Frank Stern.